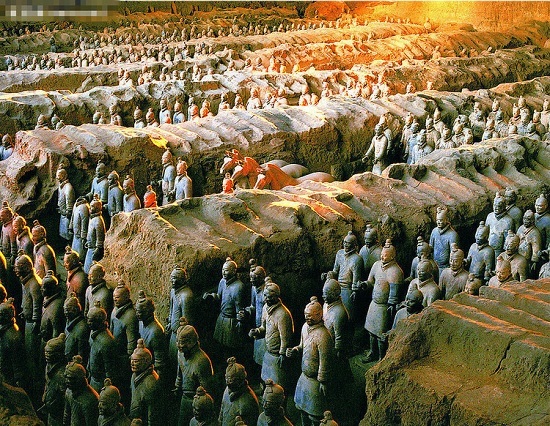 With long history and clever people, China has created many wonders on the planet, we make a list of the top 10 wonders of China which are all masterpieces of the ancient Chinese people. 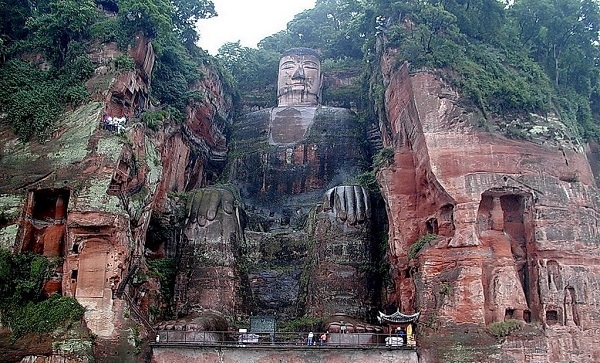 Even today we are still amazed by wonders created without modern technology and machines. 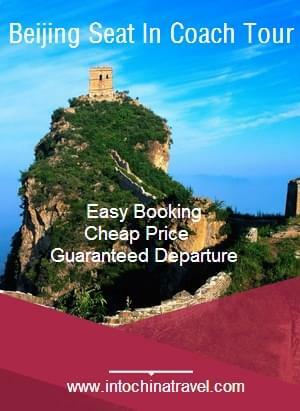 All the wonders are not-to-miss destinations and will offer you a once-in-a-lifetime journey. The Great Wall of China is one of the most famous human projects on the planet. 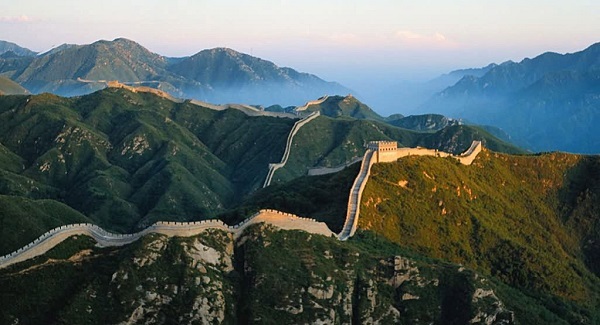 More precisely, the Great Wall is not only one wall, it consists of many walls constructed by different dynasties over the past two thousand years. 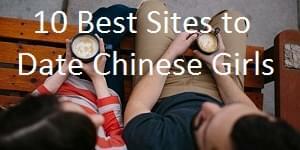 The “newest” and the best preserved part are walls built during Ming Dynasty (1368-1644). 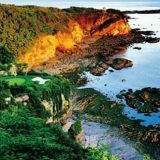 It stretches approximately 6,700 kilometers from east sea to west desert. It is one of the world’s greatest miracles in human history. The Grand Canal (or Beijing-Hangzhou Grand Canal) is the longest artificial river in the world and also one of the oldest canals in the world. The Grand Canal rivals the Great Wall in being two great projects in ancient China. 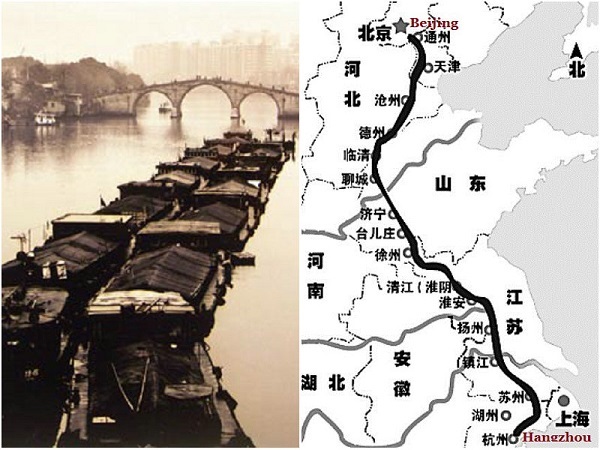 The canal shows that ancient China led the world in technologies of water conservancy and shipping. 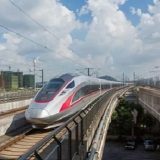 It connects Beijing in the North with Hangzhou in the South, links five great rivers and has a total length of 1794 kilometers. The canal was built in the Spring and Autumn Period two thousand years ago and completed in the Sui Dynasty (581–618), prosperous in Tang and Song dynasties, took a straightforward route in the Yuan Dynasty, dredged during Ming and Qing Dynasties. The Grand Canal’s flourishing lasted for over 1779 years. Dujiangyan is located in Minjiang River west of Chengdu Plain, 56 km from Chengdu. It is a large-scale irrigation and water-control project designed by a local governor named Li Bing about two thousand years ago. Dujiangyan is China’s oldest water project which still irrigates many fields today. Dujiangyan is a monument in Chinese science and technology history and one of the human wonders in the world. For a long period of 2250 years it keeps bringing in water from the Minjiang River to the fields near Chengdu, which guarantees the Chengdu Plain a land of abundance. Even today it still plays an irreplaceable role, irritating more than 10 million acres of farmland. The Forbidden City was the imperial palace of the Ming and Qing dynasties; it is the largest and most complete imperial complex and really an unparalleled masterpiece of ancient architectural technology. 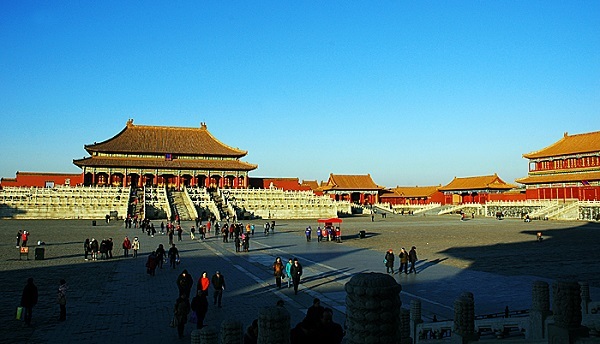 The Forbidden City covers an area of more than 720,000 square meters and has a total of more than 9000 room-units. The palace buildings were built with wooden, yellow glazed tile roof, green white stone base, decorated with magnificent paintings. The palace stands in a line from south to north on the central axis, the left and right sides is symmetrical. It marks the country’s long cultural tradition and also shows a spectacular architectural achievement by craftsmen about five hundred years ago. 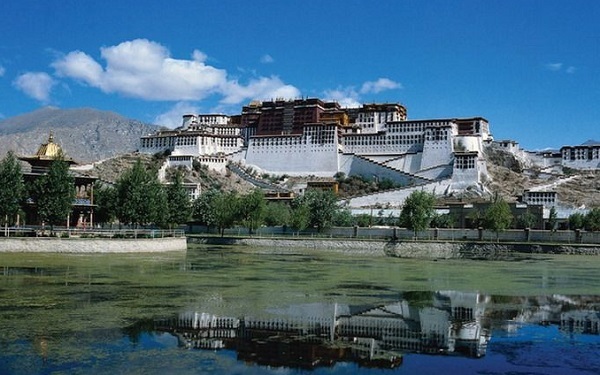 Situated on the Red Hill northwest of Lhasa, Potala Palace is a famous castle-style complex and the essence of ancient Tibetan architectural art. The palace was built in the 7th century by Songtsen Gampo in order to marry Tang Princess Wencheng. It was established at an altitude of 3,700 meters and consists of 999 houses in total. The whole complex covers 410,000 square meters and the main palace building is 115 meters high with 13 floors. The Potala Palace, which is of stone and wood structure with gilded yellow copper roof, represents the essence of ancient Tibetan architecture. Baoxie Plank extends all the way from Bao Velly of Hanzhong City to Xie Velley in Mei County, hence the name “Baoxie Plank Road.” The plank road stretches across the Qinling Mountains and connects the Chinese provinces of Shaanxi and Sichuan. 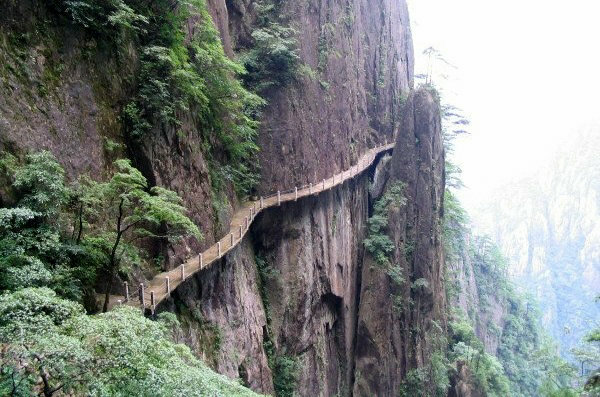 It is a very ancient plank road with a total length of 250 km, consisting of wooden planks laid on stone beams inserted into holes dug on the sides of cliffs. The plank road used to be an important “military road” and “trade route.” The products in Sichuan were transported to Shaanxi through it. Baoxi Plank was built deeply in Qinling Mountains, due to the high mountains, dense forests and deep valleys, it was extremely difficult to build the plank road. The construction began before the invention of gunpowder, so people had to use fire to burn the rock and splash water to break it. Baoxie Plank Road also has the oldest man-made tunnel in the world. Zhaozhou Stone Bridge, also called Anji Bridge, is located in Zhao County, Hebei Province. The bridge was built by craftsman Li Chun in 581 AD in the Sui Dynasty about 1,400 years ago. It is a single-hole stone arch bridge made of giant granite stones. 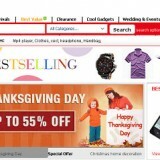 It spans 64.4 meters and has a width of 9 meters. The arch foot is 9.6 meters wide with a beam span of 37.02 meters and an arch rise of 7.23 meters. The bridge has two small side arches on either side of the main arch; this exquisite design allows water to pass through, hence reducing the water forces on the bridge. 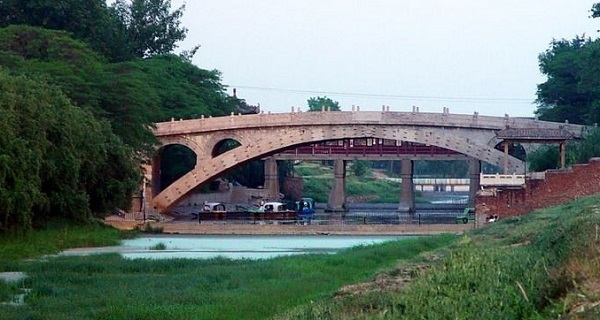 Zhaozhou Bridge is the world’s oldest and best preserved stone arch bridge. In 1991 it was named by the American Society of Civil Engineers as the “International Historic Civil Engineering Landmark,” meaning the bridge is as famous as the Eiffel Tower in Paris, the Panama Canal, the Egyptian Pyramids and other world famous landmarks. Dunhuang Mogao Caves, also known as “Thousand Buddha Caves”, were built on the eastern cliff of Mingsha Mountain, 25 kilometres southeast of Dunhuang City. The carving work began in 366 AD and continued for about 1,000 years. 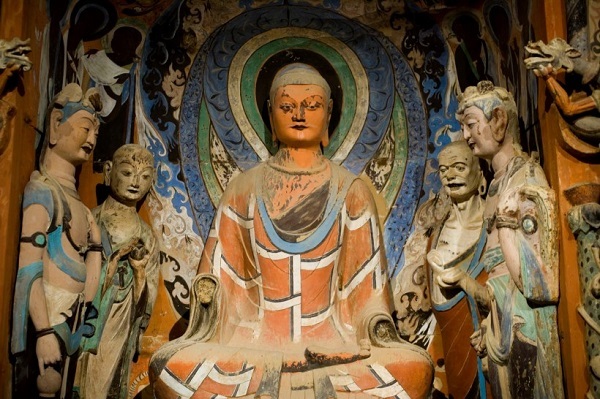 The Mogao Caves include 492 extant caves, 45,000 square meters of wall paintings and 2415 coloured sculptures. The caves are the largest and oldest treasure house of Buddhist art in the world and were listed in UNESCO World Heritage Site in 1987.